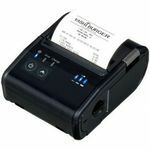 Super quick & Reliable Receipt Printers that suit every budget. 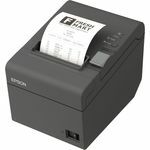 Aussie POS offers POS Receipt printers from top brands as Nexa, Casio, Epson, Posiflex, SAM4S, Citizen, Samsung- Bixolon and more. 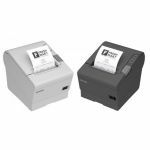 Buy Thermal Receipt printers, Dot Matrix Receipt Printers, Mobile Receipt Printers, Inkjet Receipt printers & Kiosk Receipt Printers. 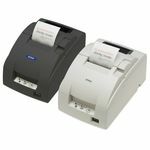 Aussie POS offers high performance POS Receipt printers to suit every business and budget. For details, Call 1800 730 846 today ! 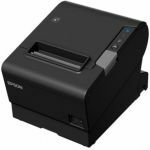 TM-T82 II is ideal for retail and hospitality environments that high reliability, and quiet printing. 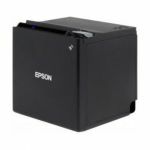 TM-T20 thermal receipt printer is the latest addition to Epson’s line of energy-efficient POS printers. 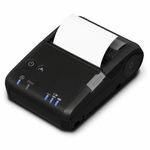 With this economical, convenient and easy-to-use thermal receipt printer you can get up and running quickly as everything you need is in the box. 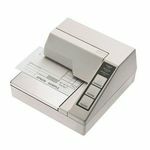 Epson TM-T82II Parallel/USB Thermal Receipt Printer. Auto Cutter. Parallel & USB. ESC / POS. Epson Dark Gray. Incl PSU, USB cable, parallel cable, IEC cable and wall bracket. 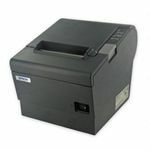 Epson TM-T20 RS232 EDG Thermal Receipt Printer. Epson TM-T20 Ethernet EDG Thermal Receipt Printer. Epson TM-T82II Ethernet/USB Psu Black AU V2. - Auto Cutter. Ethernet/USB. ESC / POS. Epson Dark Grey. Incl PSU, IEC cable and Wall Bracket. 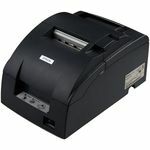 Epson TM-M30 ETH/USB PSU Black Thermal Receipt Printer. 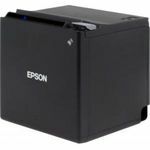 Epson TM-T82II-I TMI Intelligent Psu Black Thermal Receipt Printer. 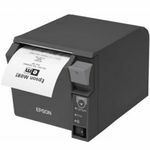 Epson TMT88V Thermal Direct Receipt Printer (Version 2). Auto Cutter. Ethernet. ESC / POS. Epson Dark Gray. Incl PSU. The TM-U295 is also equipped with a host of user-friendly features, such as an easy-to-operate touch panel and an automatic paper eject function.